Our client was having trouble accessing their garden due to a set of high narrow brick steps with no supporting handrail. 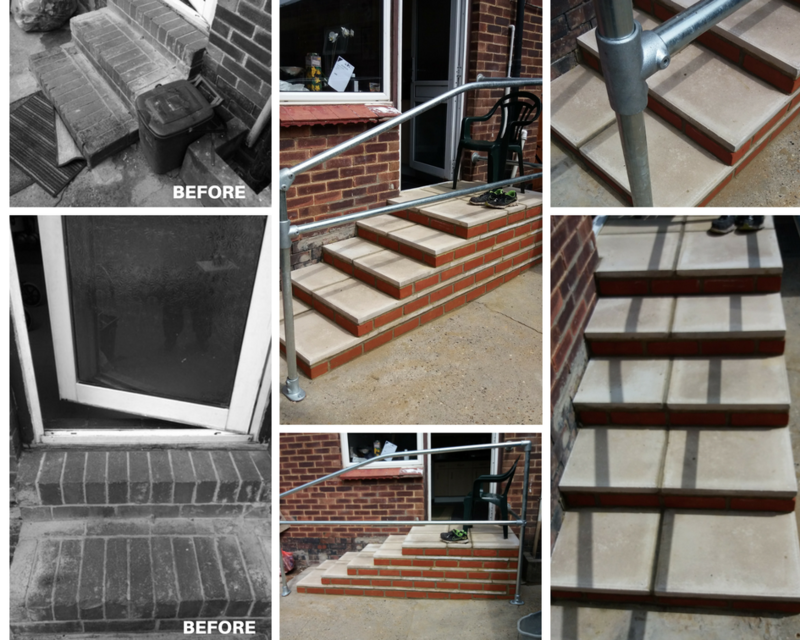 Our groundworks team removed these steps and in its place constructed a large platform area up to the rear kitchen door threshold and constructed a new set of lower rise steps with equal gradual descent. The steps were constructed using large non slip patio slabs and red engineering bricks providing a pleasing match to the existing fabric of the house. The new steps are now fully protected with an aluminium rust free handrail, set at a height suitable for our client’s needs, whilst a mid rail also provides added security to the steps in case of any falls. Our client can now access her garden safely.